Production Carpeted Floor Mats, 4-Piece Set * Medium Pebble(interior trim code -7*) * Premium-grade carpeting is custom fit to the exact contour of your vehicle. * Driver-side mats have single pin retention, and all mats have a nib backing to help prevent slippage. 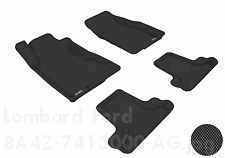 Production Carpeted Floor Mats, 4-Piece set, No Logo * Black (interior trim code -W*) * Premium-grade carpeting is custom fit to the exact contour of your vehicle. * Driver-side mats have single pin retention, and all mats have a nib backing to help prevent slippage. Guard against mud, snow and ice. 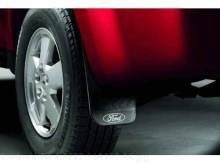 Durable splash guards are embossed with Ford oval logo. Packaged in a 2-piece set for rear. Open-Ended, Chrome-Plated, For Exposed Lugs. 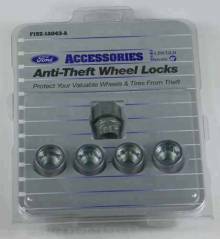 Includes (4) Lock Lugs and (1) Key For added protection against wheel theft, replace one lug nut on each wheel with one of these locks. 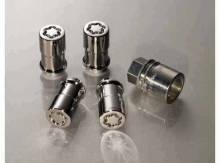 Open-ended, anodized, zinc-plated locks available for hidden lugs; chrome-plated locks available for exposed lugs. Kit includes four locks and key. 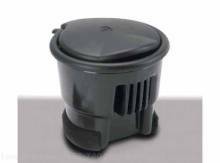 For added protection against wheel theft, replace one lug nut on each wheel with these locks. 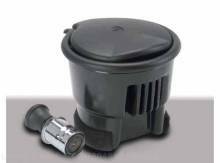 Open-ended, anodized, zinc-plated locks available for hidden lugs. Kit includes four locks and key. 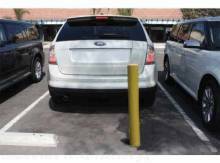 The Ford Freestyle is a fine crossover type vehicle that combines the best of a car and SUV. The ride and handling of the Ford Freestyle is one feature that really gets your attention. 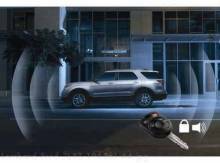 Another attention getter is to see a new Ford Freestyle equipped with genuine Ford accessories. Freestyle owners protect their new vehicle´s interior with Ford all weather floor mats and they protect the exterior with a full vehicle cover. Many Freestyle owners add classic side window deflectors and rear window deflectors along with a stylish wraparound bug shield designed to protect and complement the vehicle´s lines. The Ford Freestyle equipped with genuine Ford accessories is quite the vehicle to own and a pleasure to drive. It also gets good gas mileage ( 20 city / 27 highway FWD) for a vehicle that will carry up to 7 passengers.